Mike Wehner for BGR: Energy storage degradation in rechargeable batteries is a pretty serious problem that many of us put up with on a regular basis. It’s why your iPhone seems to last forever when it’s brand new out of the box but seems like it dies by lunchtime after a couple of years of use. 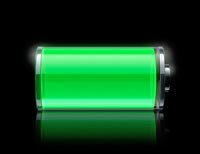 Now, researchers at Harvard have developed a new battery technology using a bit of chemistry magic to create a rechargeable power source that could be tapped for many years with very little in the way of maintenance.